My fiancée and I are currently traveling through Australia. For the purpose of this trip, I unlocked my iPhone and I put my account on hold with AT&T for a few months. This past weekend, I finally got a chance to find a pay-as-you-go plan for my iPhone and I’d like to share this experience with you. I found an Optus store and decided to go with them because they have pretty good coverage and decent prices. I was more interested in the data part of the plan than the actual calling time. 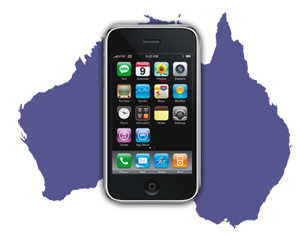 For $50, I got an Australian phone number, $300 worth of talk time and 500MB of data that will expire in 30 days. Coming from an unlimited data plan, I never really had to worry about my Internet usage but things here are different and I now have to watch my usage carefully. As soon as we got back to our hotel room, I called Optus to activate the SIM card. It took about 5 minutes and 15 minutes later, my account was fully functional. I placed a phone call as a test. I also tried to open a web page and that’s where the trouble started. 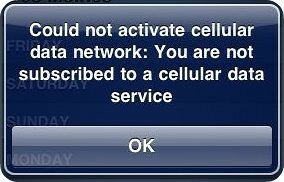 It kept giving me an error saying that it Could Not Activate Cellular Data Network: You Are Not Subscribed to a Cellular Data Service. I had the little 3G logo showing and I knew for sure I was subscribed to a data plan! I tried everything I could think of including resetting the network settings and hard resetting the phone. After 10 minutes of unsuccessful attempts to fix the problem, I decided to call Optus support. As always in this case, I was transfered from a department to another and finally landed in the iPhone tech support department. The tech guy asked me to turn wifi off. I asked him if I always had to turn wifi off in order to get 3G and he said yes. I told him I thought it was really strange but that I could deal with it. He also asked for my firmware version. I’m still on 3.0 and I made sure not to tell him it was jailbroken. Then he said he changed some settings on his end and that I should be fine after rebooting my iPhone. Great, I thought! So I hang up, reboot my iPhone and try to open a web page and I still get this stupid error. I try a hard reset again. Nothing! I started to lose my patience and gave tech support another call (mind you it cost me 27 cents each call). He put me on hold for a couple minutes and told me the problem was from my handset and not because of Optus. He suggested that I update to the latest 3.1.2 firmware. I told him that I was not going to do that because I didn’t want to lose my jailbreak an unlock. He said “oh, you jailbroke your iPhone!? Sorry we don’t provide support to jailbroken devices“. Not a big surprise. I hang up and started being really pissed and seriously considered updating my iPhone to 3.1.2 and jailbreak/unlock with BlackRa1n. I’m traveling with a tiny netbook and I really didn’t want to go through the jailbreaking process and having to set my iPhone all over again. Then the genius in me woke up and started to connect the dots. My iPhone showed that I had 3G but it wouldn’t work. The problem was on my end and it had to do something with some carrier settings I had tweaked in the past. Bingo! The problem came from the MobileConfigs file I had set up to allow tethering. I tried to delete this profile by going to Settings > General > Profiles but the option was simply not there at all. Instead of trying to figure out where this profile was, I decided to install a new carrier profile from http://help.BenM.at. From my iPhone over wifi, I navigated to the site and looked for the Optus profile and installed it. I rebooted the phone and I was finally able to get 3G. The whole process from the time I called Optus to the time I opened a Guiness to celebrate took about 30 minutes. I have very little patience and I was totally furious. My fiancée is awesome for dealing with me during these times. She definitely knows how to handle me. I guess the moral of the story is that there is always a solution but you have to trace where the problem comes from. Pay-as-you-go plans are more popular here than they are in the States. 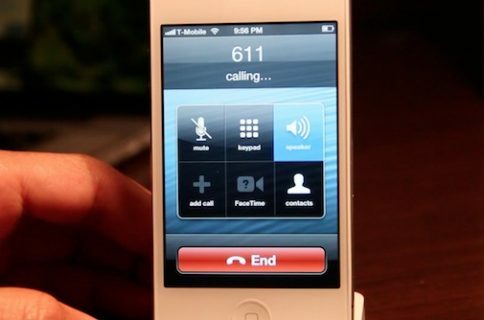 Unlike in the US, you are not charged for incoming calls or received messages, which I think totally makes sense. You can’t get an unlimited data plan. No carrier offers this service and I suspect this model is going to come to the States sooner rather than later. No carrier sells the iPhone. 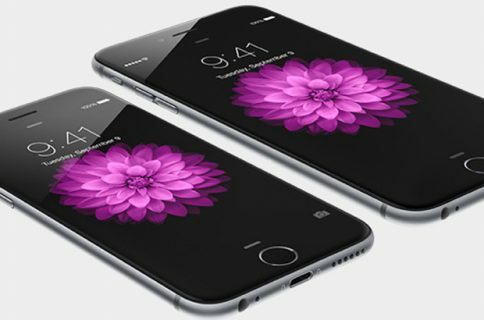 You have to buy an iPhone from Apple, then buy a plan from one of the national carriers.